In addition to guest posting on the UpCity blog, Integrity Web Studios is featured as one of the Top Web Designers in New Orleans. Check out their profile here. Whether you own a digital marketing agency or other small business, implementing vertical markets is an efficient way to grow your company. In this article, we discuss vertical markets and their benefits as well as provide you with resources to help you define your vertical market. A vertical market is defined as a market in which vendors offer goods and services specific to an industry, trade, profession, or other groups of customers with specialized needs. In layman’s terms, it is a particular niche or customer group. “So, why would my company choose to implement a vertical? It seems counter-intuitive to limit who I sell to?” We hear this all the time when we explain verticals to clients for the first time. In short, limiting who you market to makes your marketing infinitely more efficient. Notice I said “market to” not “sell to,” we never limit our business, only where we focus our marketing resources. When we don’t have a vertical, we can waste time and money trying to reach new customers. There are a lot of decisions to make for your marketing. For example, when should you use print vs. online marketing? Should a newly hired salesperson join the local chamber of commerce, networking group, or another group? How can you separate your company from the competition? 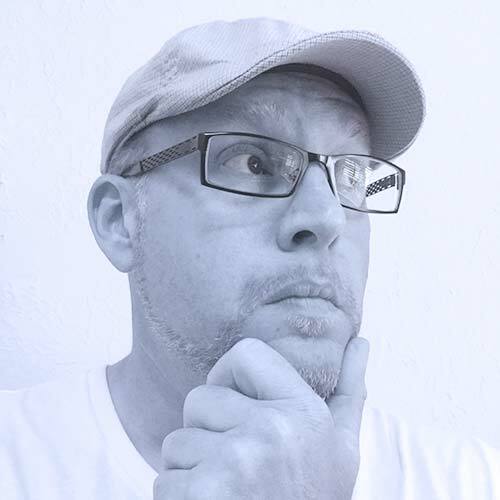 Should you write blogs, if so, who are you writing for? The answers you seek lie within the vertical market you define. 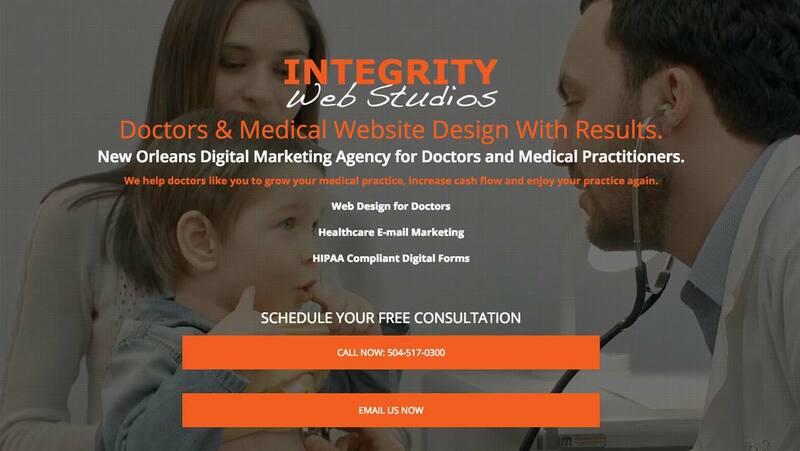 Here is our vertical targeting doctors and medical professionals. We essentially duplicated our landing page with new content and copy strategically targeting our vertical. If a company defines a tight vertical, it will provide a comprehensive customer profile (avatar) for them to market to. Once we understand our vertical segment, we can begin marketing directly to them. Your marketing should speak to the specific problem a customer/client has. When they hear about your product or service, they should intuitively think to themselves, “that is exactly what I need.” Verticals matter! Here is the best part, as you win new business within your vertical market you also build expertise in the niche. Your company or service quickly becomes the go-to solution for the service or product at hand. Your marketing effectiveness becomes exponential! 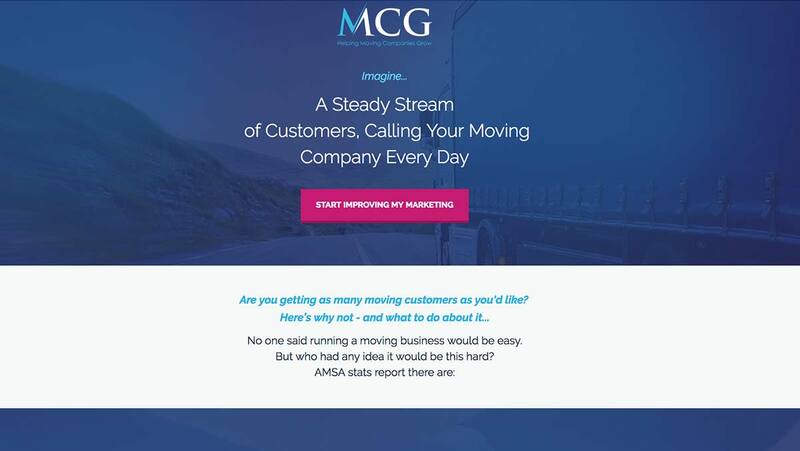 Here a digital marketing company thrives in the Moving Company niche and has since branded a new website and company specifically geared towards the niche. 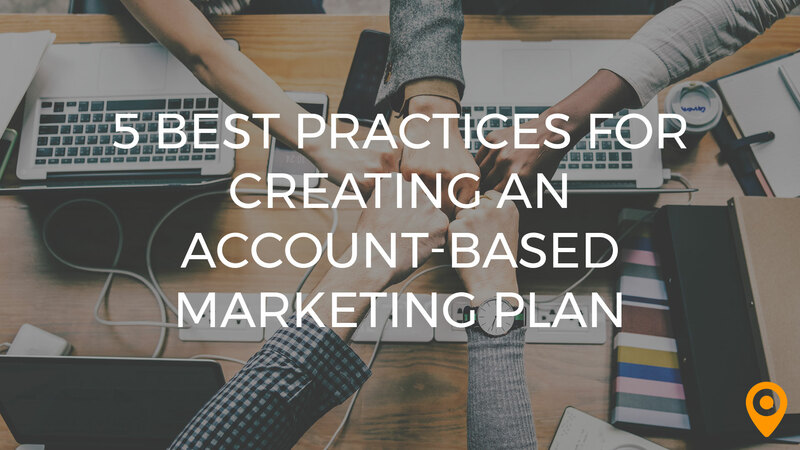 When we advise clients to target a subgroup of customers for more business (define a vertical), we work with them to ensure the vertical is first a quality customer group. Here are some guidelines for deciding on which customer segment is right for your vertical. Common sense here, but, if they cannot afford the product or service, they are not a good vertical. They work within your terms. In other words, they follow your company’s policies and guidelines, adhere to timelines for orders, minimum order requirements, payment terms, and so on. If they do not, it’s likely not a good fit. Clients who value your products and/or services also appreciate your time, suggestions, and prices. Your company has a professional understanding of their problems and solutions. 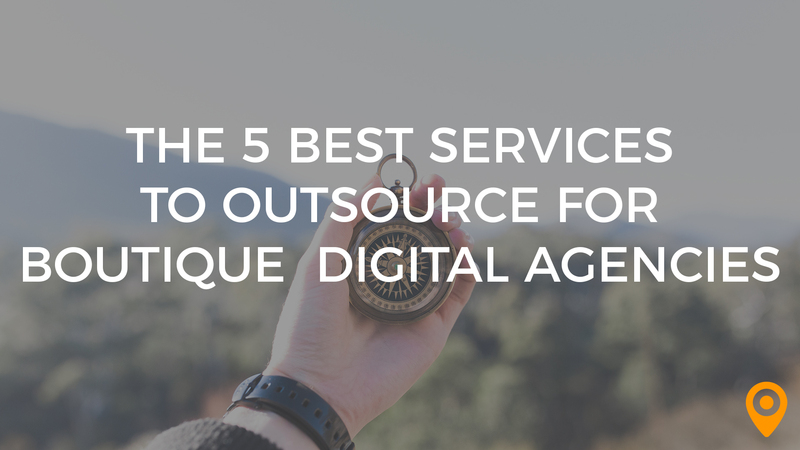 Now is not the time to learn a new facet of your services. Ideally, you want to have a few clients, customers, or projects under your belt with this vertical. To define who your ideal customer is we need to identify the perfect problem to solve for them. 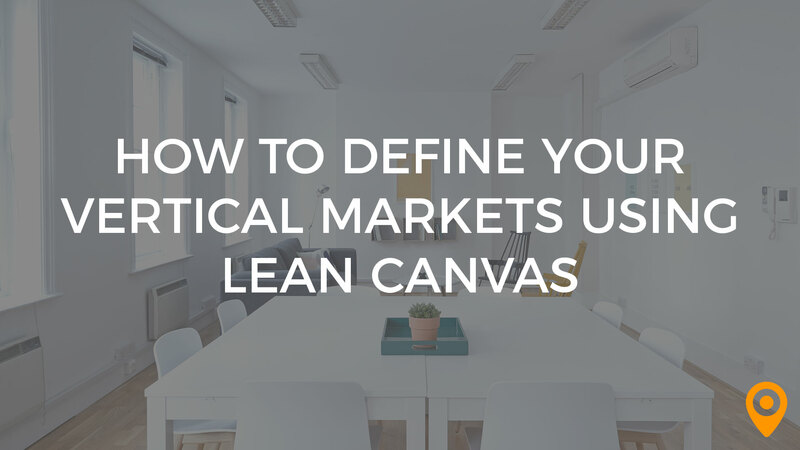 We do this by leveraging Lean Canvas. 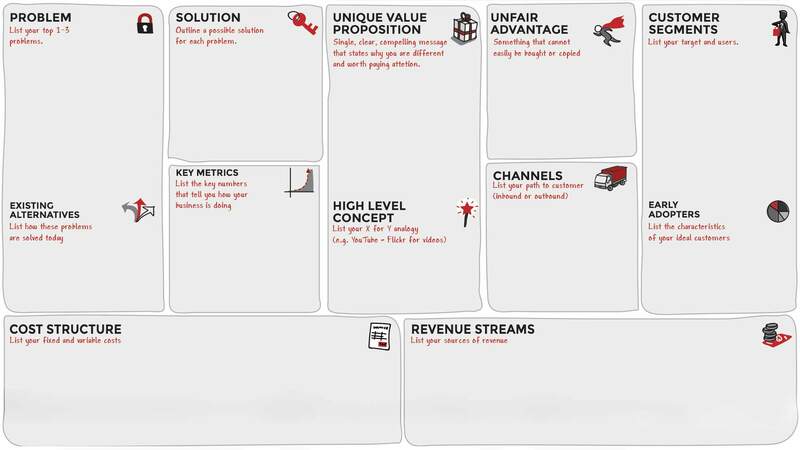 This is a one-page business model template created by Ash Maurya as a way to quickly define and more importantly, adjust your business model. Though intended for business modeling, it works great for identifying your vertical. Using lean canvas, we can define our vertical on a single page, in under an hour. To get started visit Leanstack.com and create a free account for the interactive version (recommended). Or you can download a free lean canvas template if you prefer to print it out. The benefit of using leanstack.com is that there are videos to help you along the way if you have questions. 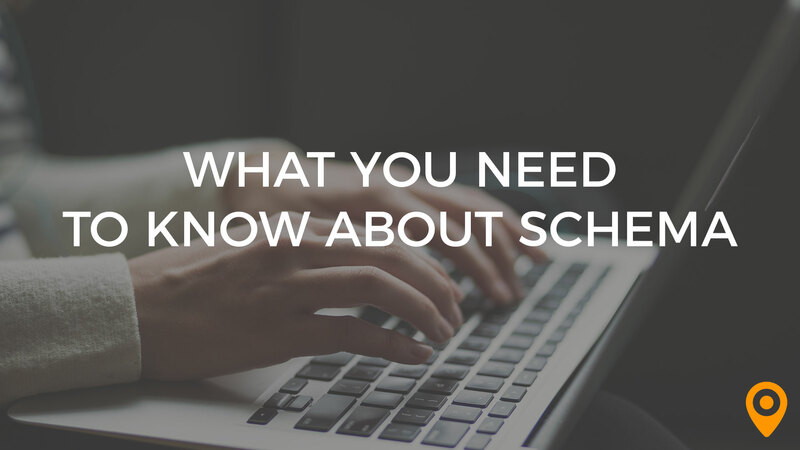 The videos explain how to answer each section, how to keep your answers tightly defined, and why each section is beneficial. As you can see, the canvas is broken up into nine distinct parts with each having a clear objective. You want to be as clear and concise as possible in completing the canvas. I suggest to clients to shoot for five words or less when answering (a tip I learned from FUBU CEO Daymond John). Keep in mind, this is meant to be a quick exercise and should not take more than 20 minutes to complete. If you are taking longer it is likely that you are overthinking it. The more specific you are in answering these questions, the more efficient your vertical will be. Once completed, you will have a clear understanding of your UVP (Unique Value Proposition), your target customer (avatar), and the specific problem you will be solving for them. Your only potential pitfall is thinking too broadly. The goal here is to narrow your customer subgroup into a clear, well-defined niche that makes it easy to market to. Armed with this information, you now have everything you need to define your vertical market. Using the information from your lean canvas, you may now conduct research to learn about the avatar you are targeting. Some of this you may already know while other areas may require more research to nail down. Things like where they shop, work, eat, play and how they spend time online are all valuable demographic clues. These demographic clues will then tell you which meetings to attend, how to spend your marketing budget, what, where and who to blog for. When it comes to demographic research there are a lot of free resources out there to help you. In fact, there was an excellent article posted right here on the UpCity blog a few weeks ago by Kiyo Wiesnoski called “Demographic Research: 5 Free Resources to Find Your Audience” that I highly recommend you check out. Kiyo provides links to tools the professionals use, explains these resources, and highlights the benefits of each. You now have everything you need to market like a boss. Good luck and happy marketing! Hey there! My name is William Shane Roberson, aka "Shane." I am an Internet Marketing Consultant which is just a fancy name for a marketing professional. I own a digital marketing agency in New Orleans La. (NoLa) where I fulfill my passion for design and marketing by helping companies grow. We offer turnkey, results-focused marketing/design solutions and pride ourselves on educating our clients on their marketing. 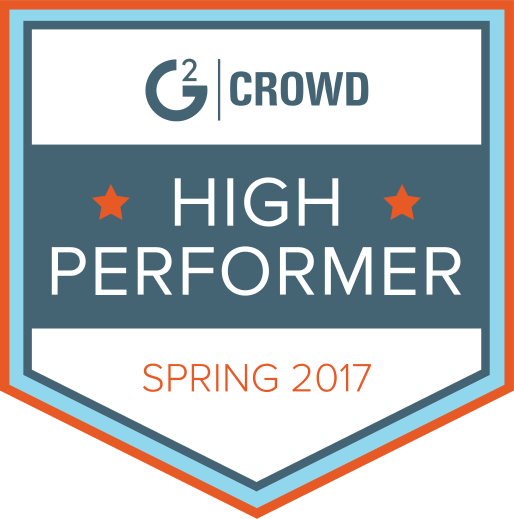 When we do our jobs correctly, our clients wonderfully outgrow us! Because I have a knack for communicating with people, I was able to publish my first book “Learning Wordpress” (available November 2017).